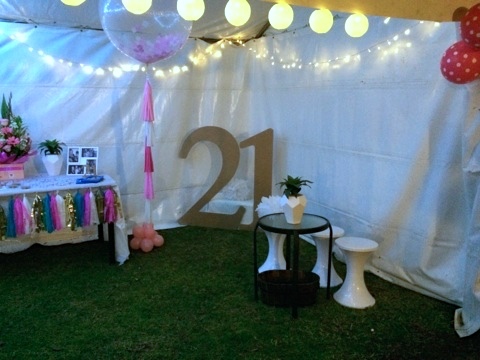 It’s not turning a year older that stresses me out, it’s… the party. Now I’ve realised, looking back over the years, having a birthday party has always stressed me out.. even on my 11th birthday (milestone… I know!) I was in tears before my beading party (cute… I know!) at Funky Lula’s. 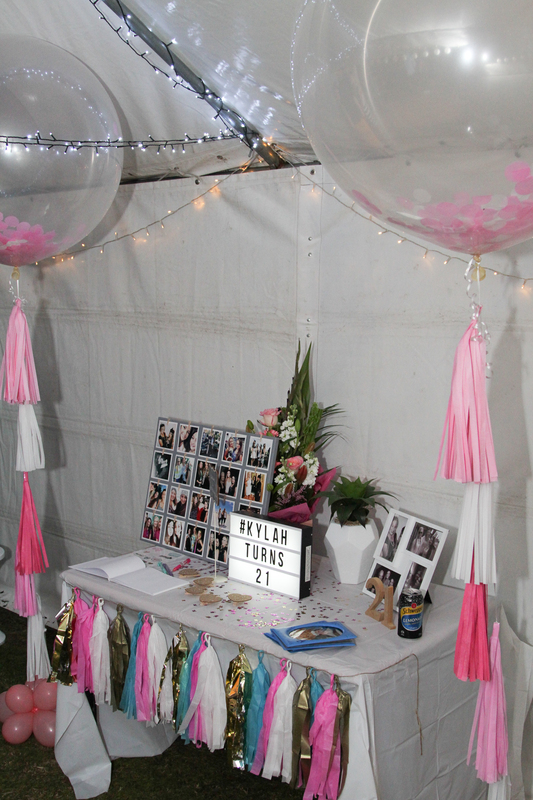 I absolutely love events, I have assisted running a fair share of events over the last few years and I am frequently labelled as a bit of a social butterfly, but for some reason throwing my 21st birthday had me absolutely tearing my hair out. Everything had to be perfect… From food and drinks to the right balloons (which were really awesome by the way) and the perfect straws to match my colour theme. Mum and Dad thought I was being absolutely ridiculous and over the top, but I was on a total mission. Does this happen to anyone else? Haha, surely I can’t possibly be alone on this! But I find it so much less stressful to throw a party for someone other than myself or an event for a client. My stress really paid off though, I got so many compliments on how the party looked. A close friend even mentioned that it has made her want to have her wedding at home! Bless! Keep it simple! Don’t add too much clutter to your party space! I actually had to remove some tables from the marquee because it looked too busy. Use your space well. I hired a marquee so that everyone could be outside, but out of the cold and rain. It was super important to me that everyone was in one main area, so that the party wasn’t too spread out (it can start to look a bit empty). Pick your event zone and maximise its facilities! Make a budget and stick to it. There are so many beautiful products out on the market right now that its SO hard not to go crazy when styling your event. It’s super important to stick to a budget and preferably purchase items that you will use again. Or, if the items are disposable (such as straws, paper plates, plastic cups) spend as little as possible! Kmart especially was so so great for all of my party planning! … and try not to stress ! It all works out perfectly in the end. It’s pretty hard to capture an events atmosphere in images, but here’s a few photos to show you how it ended up looking! 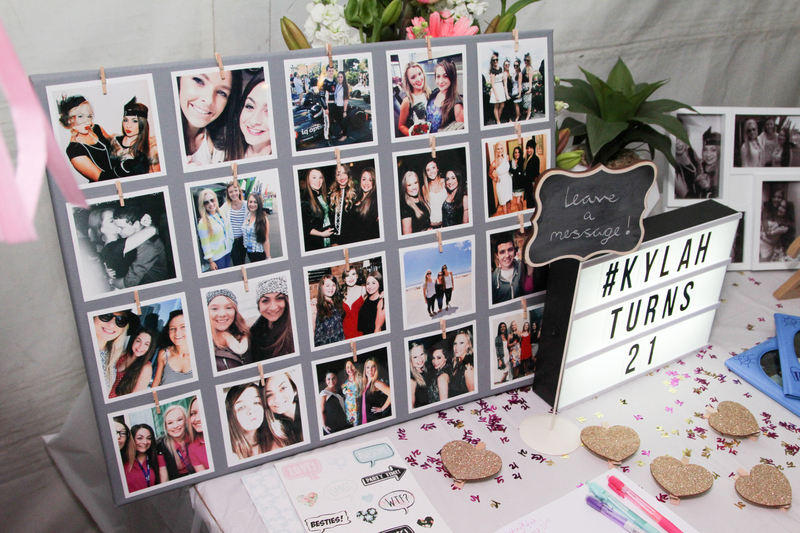 This entry was posted in Events and tagged 21, birthday, birthdayparty, eventstyling by kylahblogs. Bookmark the permalink.